Roadblock: The imaging study showed where my pain is coming from. Imaging most often shows common changes that occur with aging, but is not the primary consideration when guiding a recovery plan. Two people with the same injury on MRI may need very different recovery programs based on an analysis of their movement. The imaging Interpretation Dilemma: Is the change in structure seen on imaging (herniated disc, spondylolisthesis, torn labrum, meniscus tear, small rotator cuff tear, etc.) the cause of the pain and poor movement OR is poor movement quality the reason for these structural changes? Which leads to: If I improve movement quality are the structural changes I have stable enough that I can do fine without having elective surgery? Roadblock: My pain worsened after trying physical therapy. There are many approaches to physical therapy. Other areas of this site will provide information to help you determine if the physical therapy approach you have experienced makes sense. In general, a modern understanding of the movement system is needed to design your recovery program. More traditional approaches to assessment focus on reducing pain at the site of pain, interpreting imaging or teaching pain coping. Without the benefit of a modern movement system analysis, any treatment is a shot in the dark and the likelihood of re-injury is high. Some people try to use opioids to manage pain while doing their physical therapy. We advise against this approach because it often sensitizes the nervous system leading to dependency and poor outcomes. Roadblock: Every time I work out, I pay for it the next three days. This can be due to doing too much, too soon on a weak foundation with poor tissue mobility and motor control. The problem could be poor form. If you go back to activity using the bad form that got you in trouble the outcome is predictable. The absence of pain is not an indication that your movement system is ready for regular activity. There are measures of movement system competency that can be used to guide your recovery. Pacing is an essential skill that helps manage pain while on the road to recovery especially when weaning from opioid use. Roadblock: I’ve been told my pain is in my head. Well, it is true that all pain is output from the brain but persistent or recurrent movement pain could very well be an indicator of movement system imbalance. Movement is complex and needs careful assessment that is beyond what can be seen on imaging. You may hear that the pain is in your head from a specialist who is at the limit of their understanding of the movement system and is out of better options. A movement system assessment can provide better options to meet your needs. Roadblock: I’ve been told I just have to be positive. A positive outlook can certainly help improve attitude and mood, and even improve your posture, which can help. Did you know that good posture increases the power hormone testosterone and reduces the stress hormone cortisol? Many who have had persistent pain have lost the tissue mobility and motor control that sustain optimal posture and movement pattern. A carefully guided recovery program consistent with your goals can be just the positive boost you need. Amy Cuddy explains this new mind-body relationship in this TED talk. Roadblock: I was advised by a clinic to record my pain on a scale of 1 to 10. For many people this is a misleading indicator of the impact pain has on their lives. The hopelessness that comes with persistent pain is often devastating. A comprehensive movement system analysis that guides practical recovery steps addresses that hopelessness. Roadblock: The surgeon told me that if I don’t have a spine fusion now I won’t be able to walk in the future. 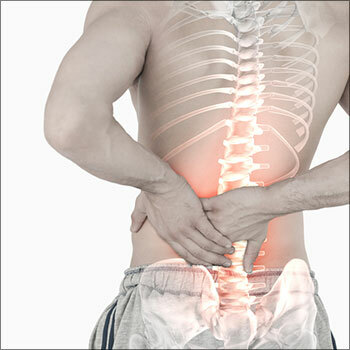 It may be best to seek a consultation with a spine expert who is not a surgical specialist. Often many from the same specialty share a common perspective and view of the options. Remember surgery should always be the option of last resort because the risks are high and the benefits are commonly overstated. Myth: If my chronic back pain was not cured by following my physical therapist’s guidance, surgery is my last remaining option. Myth: The clinicians at the Pain Clinic will be able to provide me with a long-term solution. The medication and implanted electrical stimulation route only benefits very few according to independent research. The risks associated with these options are high and the outcomes often overstated. These treatment options are based on a traditional understanding of pain and the movement system. It is far better for you to become knowledgeable and the expert on your movement system and your movement and function needs. Myth: Backs can be rehabilitated in 6-12 weeks. The length of insurance company payouts is clear evidence of this. It is true that tissue healing occurs in that time frame and unfortunately insurance company protocols misinterpreted that information. The imbalances in the movement system, created by trauma or poor movement patterns, are often not restored after pain subsides and activity resumes. In fact, the imbalance can last indefinitely resulting in lost functioning capacity needlessly. Myth: Back pain is always hereditary. My mother had back pain as long as I can remember – I am to expect the same thing. It is true that there is a strong hereditary component to back pain as determined by a twin study. It may also be true that suboptimal spine stabilization and posture pattern are hereditary and show up even when twins do very different types of work. There is still opportunity to rebalance your movement system. Myth: A herniated disc spells the end of a person’s athletic career. Not so according to Stuart McGill, a world-renowned expert on the low back and rehab coach to world champions. Myth: My MRI will provide the doctor with all he needs to know in terms of my course of treatment. The MRI is the defining study for a limited course of treatment, surgery (the treatment of last resort due to the high risk and uncertain benefit) and injections. Two patients with very similar MRI findings may need very different programs to recover from an injury. Injections are like putting black tape over the warning light on your car’s dashboard. There may be immediate relief but the cause of the problem remains unknown. A lot depends on how the injury occurred, and what are the needs of your movement system to bring it in balance. This requires a movement system analysis that is beyond a traditional medical or therapist assessment. Myth: Back pain is linked to having tight hamstrings. Tight hamstrings may be a component of your movement system imbalance. There can be several causes for this problem and often just stretching this area is not enough. Disc degeneration is not a disease. Many findings on an MRI are normal changes seen in active and sedentary people. The aging spine needs a different balance than the spine of a young adult. Worry about these findings is quite troubling for some and may be a distraction from making the best recovery choices. Myth: Lying in bed is good for back pain. Only briefly. The body needs 6 to 8 hours of rest daily but all the body systems need activity and motion. Resting too long, especially sitting, is now known to be a health hazard. A better option is find ways to get back on your feet for brief periods of time initially. Myth: My daily workouts at the gym will get rid of my back pain. 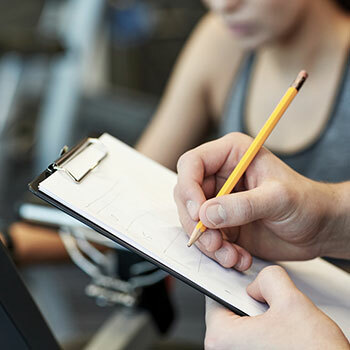 Loading poor movement patterns with exercise at the gym or anywhere will become a problem eventually and could prolong recovery after an injury especially when combined with opioid therapy – a problematic combination. A better solution is to forget the pills and get a modern movement system assessment. Myth: Yoga and Pilates are great ways to alleviate back pain. There are conditions of the spine that are made worse with some of these exercises. The lumbar spine should not be loaded regularly in a bent position. It is now known that the damage is predictable. Be careful. Your spine may or may not hurt during exercise or activity during the day but keeps you awake at night. The first step to recovery is to stop the aggravating activity or exercise. Myth: Stretching is good for reducing back pain. Quite often stretching the upper back so it can flatten and stretching the hips is good, while stretching the low back is not. A stretching program needs to be custom-tailored for your movement system needs. Myth: My friend was cured using XYZ therapy – he swears by it. It must be good for me. This shot in the dark approach could work. A better approach is to learn about how the body works and what your individual movement system needs are. Myth: Stronger muscles will cure my back pain. Strengthening muscles that are already overactive could make things worse. There are other functions of muscle that need consideration such as endurance, timing, and synchronization which are often more important to support the spine. Myth: Work Hardening Programs help all back pain sufferers get back to work. A Work Hardening Program, that does not include a movement system assessment (few do), may increase the ability to do a specific work task but is often not the best approach to a sustainable recovery. Often the Work Hardening program is combined with opioid therapy – a troubling combination. The problem lies in the assessment gap. Usually the reason for persistent pain cannot be detected by traditional approaches to investigation by a specialist or physical therapist who has not advanced their movement assessment skills for the complex patient. Myth: Having a powerful back is protective. Power in the back without a core that can stabilize the spine will predictably lead to injury. Muscle endurance, motor control and synchronization for posture alignment are protection for the low back. Myth: Body building exercises will help with rehabilitation. Often body building exercises are focused on specific muscle groups to improve visual characteristics. Quality core muscle development for recovering the protective characteristic of these muscles results in a good foundation for body building. The exercise needed in recovery and rebalancing the system are often quite different from those used in body building. There are over 30 published guidelines for low back pain based on evidence. Studies of specific procedures have not found any that work great. These may be helpful for clinicians but adherence and consensus is poor. What’s been lacking is how to best interpret the science for the individual’s specific situation. The Caruso Method aims to improve your ability to make the best choices for your needs. Myth: Foolproof “fix your back in 7 days” or “be pain free in five easy steps” plans are great rehabilitation options. They are appealing and can work but often sustainable recovery occurs with a reasoned deliberative process. Our ability to walk as infants comes after a long period of slowly developing motor control stability. We earn the motor control stability slowly over time before we can take that first step. It is literally the same progress for the body to earn a sustainable recovery.